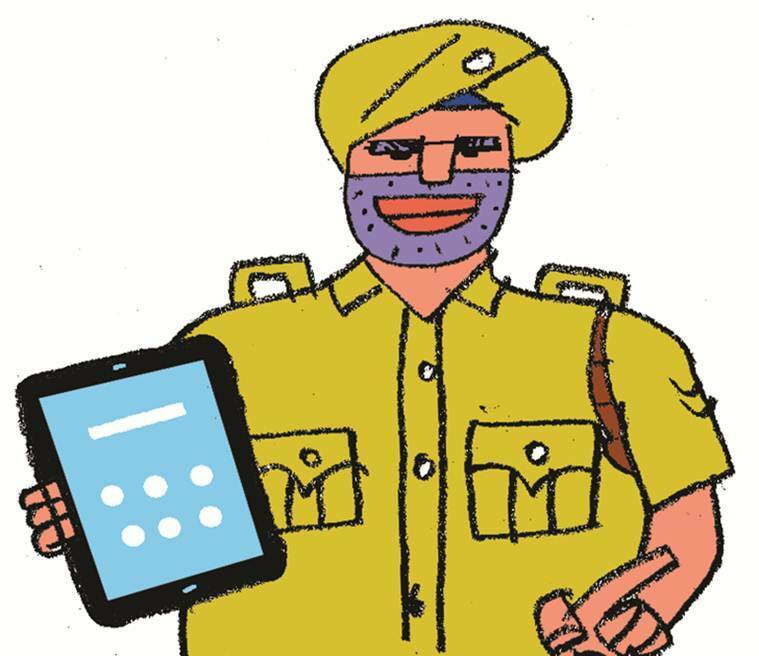 THE CHANDIGARH Police shall soon be equipping its beat constables with smart gadgets – tablets running on Android operating system. The beat constables who used to be carrying bulky paper notebooks while going in the residential and commercial areas across the city to collect details of people shall now be feeding these in the tablets. The police department has decided to procure 275 such tablets that will be given to the beat constables. After getting a nod from the UT Administration, the Tender Document Formulation Committee of Chandigarh Police has cleared the proposal. The Chandigarh Police has 17 police stations out of which 16 police stations have 165 beats and 82 beat incharges. One women police station does not have any beat in its jurisdiction. Beat system in the police department is a concept in which the jurisdiction of a police station is divided into separate portions called as “beats” for patrolling and surveillance purposes. A team of at least five police personnel, mainly in the ranks of constables and head constables, are deployed in these beats. Earlier, there were 146 police beats. The number was recently increased to 162 for better patrolling across the city. The maximum number of police beats are in the area of Sector 39 police station, Manimajra police station and Sector 34 police station because of the large area and population covered by these police stations. A police beat team is responsible for maintaining the record of street vendors, shopkeepers, senior citizens, suspected persons and residents who have a criminal background. The beat team is also responsible for regularly updating this record.